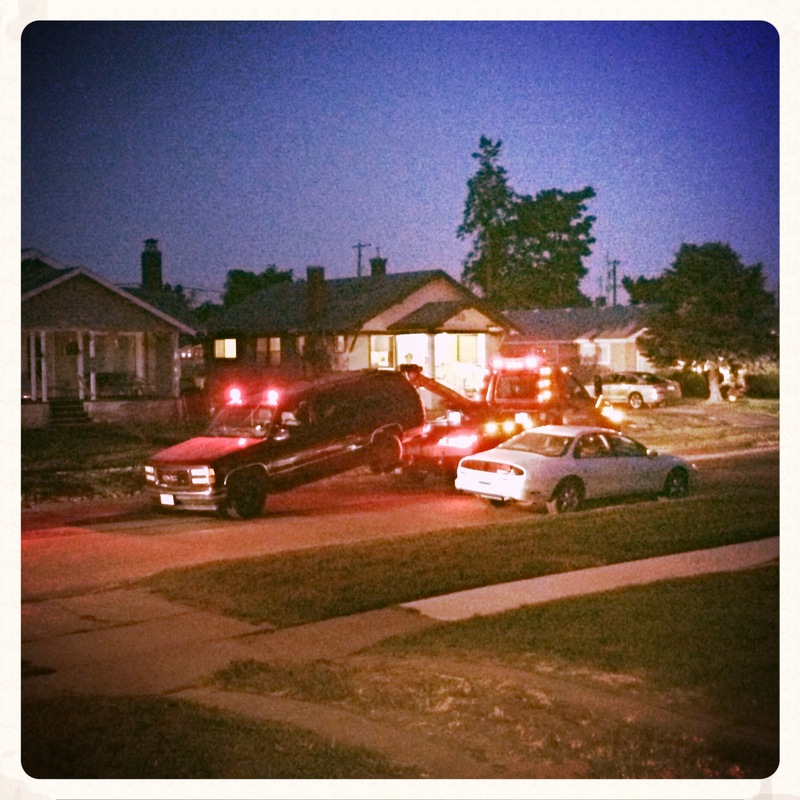 For Adam’s birthday this year, he got towed. But you can read about that here. 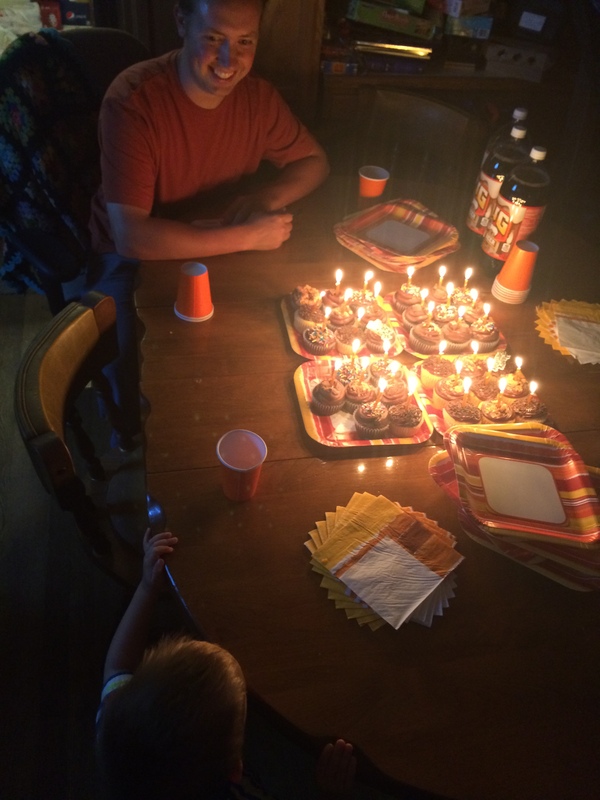 This post is about the cupcakes I made to celebrate his 31 years. It’s short. But sweet. 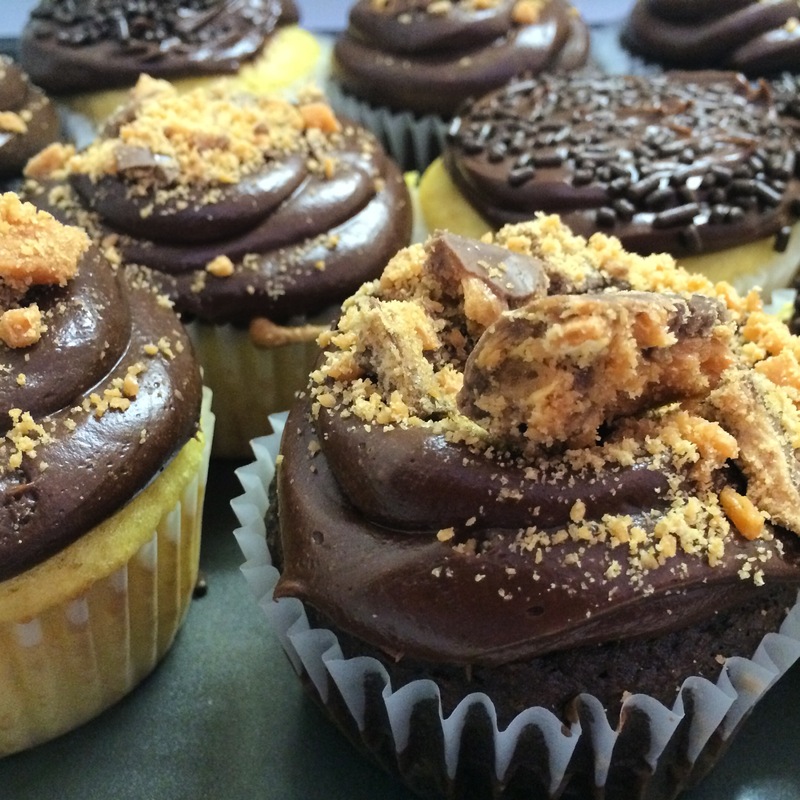 😉 His favorite candy is Butterfinger, so I baked yellow butter-recipe cupcakes and frosted them with chocolate supreme frosting. I crushed up a Butterfinger and sprinkled it over the top. 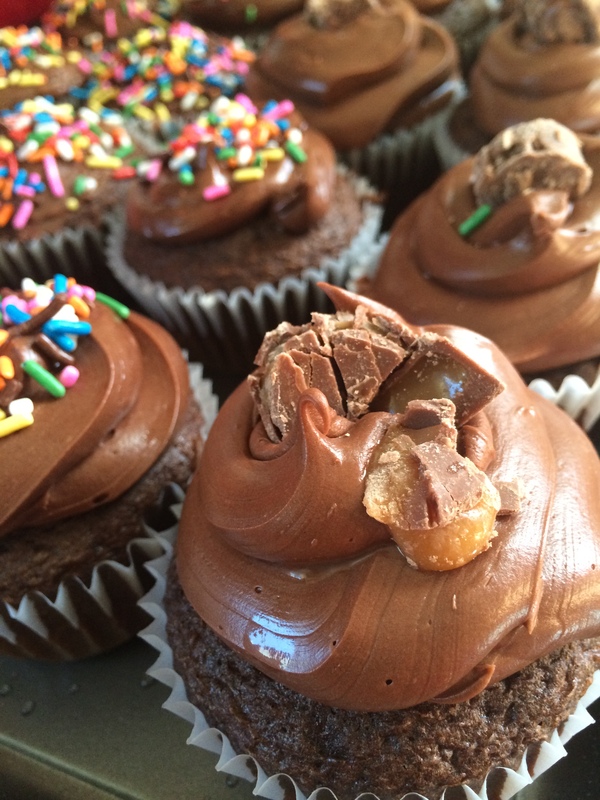 While shopping for frosting, (don’t judge), I saw Hershey’s Chocolate Caramel frosting which inspired me to also bake chocolate supreme cupcakes with crushed Rolo candies on top. We had plenty of family around to make it a fun and memorable evening, in spite of (or maybe because of? )a blown-up transmission. those all look delicious !!!!!!!!!!!!!!!!! !